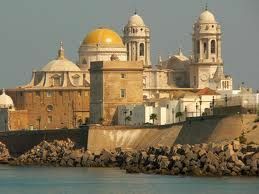 Cadiz is on the Atlantic Coast in Spain’s most southern region of Andalusia and is considered one of western Europe’s oldest cities. It is said that Hercules founded Cadiz over 3000 years ago. Being so close to Seville it has become a favourite port for cruise ships and known as the Costa de la Luz (or Coast of Light) it offers beautiful weather, immaculate white beaches, glorious sunsets and lovely seaside villages. When it became a major port for trade with Latin America its residents became immensely wealthy. Because of the heavy trade that came through the port, watchtowers were built by the merchants to monitor the ships as they entered the Bay. There were one hundred and sixty watchtowers in total back then but now only a few remain in existence. The Torre Ravira is the tallest, towering over 35 metres above ground. Now the headquarters for the Municipal Conservatory of Music, it has a darkroom which contains a very unique tourist attraction, the Camara Obscura.It is made from a pipe, a magnifying lens and a concave drum and reflects panoramic views of the city onto the darkroom walls. As Cadiz was built on a peninsula the only entrance by land into the old city is through Las Puertas de Tierra, a 16th century fortress. Inside the old city there is the Plaza San Juan de Dios filled with side walk cafes and the Town Hall, Ayuntamiento, which is probably the best example of the architectural style of the old Cadiz. It is quite a dramatic site when lit up at night. The Cathedral also dates back to the 16th century and is a major landmark. The original site goes back to 1260 but was destroyed in a fire. Reconstruction began in the late 1700’s but it took over a hundred years to complete it. In the Cathedral’s crypt is the tomb of Spain’s greatest 20th century composer, Manuel Falla, who was born in Cadiz. It also has a museum with exhibits of exquisite gold and silver treasures and ornaments made from precious stones. The city’s original theatre was also destroyed by fire and today the Gran Teatro Falla stands on the original site. The San Carmen hospital is also worth a visit as it has an original El Greco painting. There is also a collection of Phoenician sarcophagi in the Archaeological Museum. Each year just before Lent, Cadiz honours an ancient catholic tradition which began in the 16th century with what has become the biggest carnival on mainland Spain. Highly entertaining there are street artists, lots of music and fancy dress. So popular is this carnival it is the only one that Franco could not succeed in banning while he was in power. 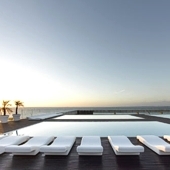 If you are looking for modern luxurious accommodation the Parador Cadiz (Hotel Atlantico)is a four star hotel with pool, gymnasium and sauna. It also has a special entertainment programme for the children. Close to the sea it is surrounded by palm trees and wonderful views of the Bay. There are all sorts of activities to enjoy in the area such as bunging jumping, hand gliding, horse riding, cycling and golf. With a fairly windy coast and high waves, the conditions are also perfect for sailing and wind surfing. However you can also treat yourself to two other rather special experiences. If you want to learn how to recreate the wonderful cuisine you have been enjoying in Cadiz, master chef Jean Pierre Vandelle is offering private cooking class with in his home at La Olivilla. After retiring from running his famous restaurant in Madrid, El Olivo, he is now teaches guests how to prepare an authentic regional menu using only the finest local products. Or travel to the nearby city of Jerez where each year a Horse Fair is held in May and where you can visit the Royal Andalusian School of Equestrian Art and watch beautiful displays of dressage to music. Jerez is where the fourth World Equestrian Games took place and is also known for its production of fine sherry and brandy. It also claims to be the home of Flamenco dancing. 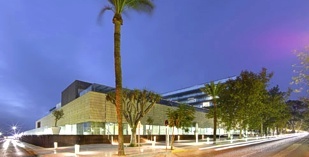 With the nearest airport in Jerez there is no time lost if your visit is a short one. However, with so much to experience in Cadiz this is definitely one destination that you will want to give yourself enough time to enjoy.